Tranmere Rovers secured their second successive National League win in a dominant display in front of a roaring Prenton Park crowd. James Norwood continued his great run of form, scoring his sixth goal of the campaign with only four minutes on the clock to give Rovers the best possible start. The Super Whites suffered two early blows as both Mitch Duggan and Jeff Hughes picked up hamstring injuries, the extent of the knocks are currently unknown. Ollie Norburn scored Tranmere’s second goal of the afternoon as he volleyed home from a Liam Ridehalgh corner. The result moves Micky Mellon’s side up to 13th place in the Vanarama National League table, as they move to within only three points of the play-off places. Tranmere came into the game off the back of a very respectable 1-1 draw away at League One outfit Peterborough United in the FA Cup first round, and they didn’t disappoint the Prenton Park crowd in this fixture. The Super White Army quickly saw Norwood extend his goal tally to six for the campaign as he twisted and turned around two Dagenham defenders before slotting it past Mark Cousins. Duggan was forced to come off after suffering a hamstring injury after five minutes and midfielder Jay Harris slotted in as a makeshift right-back. Injury woes worsened for Rovers after half an hour, as midfielder Hughes also sustained a hamstring injury. This forced the manager into playing an attacking setup with Connor Jennings moving centrally and Larnell Cole coming on out wide. Despite the reshuffle, Tranmere continued to be dominant in attack while the visitors struggled to settle. Andy Cook and Norwood found success running in behind the Dagenham defence, with the latter’s pace causing all kinds of problems for the Daggers. Dylan Mottley-Henry impressed again, as his skills on the ball proved to be too much for Dagenham left-back, Ben Nunn. The defender brought down the Barnsley loanee several times in the first-half, but that did not phase the winger as he continued to burst down the right flank. Rovers continued to create chances before half-time, and were awarded with their second goal that came from a Ridehalgh corner. The left-back fizzed in a ball from the flag, which Dagenham failed to deal with as Norburn latched onto it and volleyed home brilliantly. The visitors came out with more bite after the restart, but struggled to create any clear cut chances. It took until the 51st minute for the Daggers to register a shot on target, and even that was straight at goalkeeper Scott Davies. The visitors to their credit did try and get back into the game, but Rovers’ defence was as solid as it has been all season. Much of Dagenham’s play in the first-half was ran through Fejiri Okenabirhie, and the fact that he was substituted with just over half an hour left to play spoke volumes of the performance that Harris put in at right-back. The 30-year old didn’t put a foot wrong all afternoon, and looked like an accomplished full-back. He was deservedly awarded the official Man of the Match award, and also took the accolade in our Twitter poll. As the game drew closer to its climax, both sides began to open up and the encounter became more of an end-to-end affair. Tranmere had the best of the late chances, but the score remained 2-0 to the Super Whites. 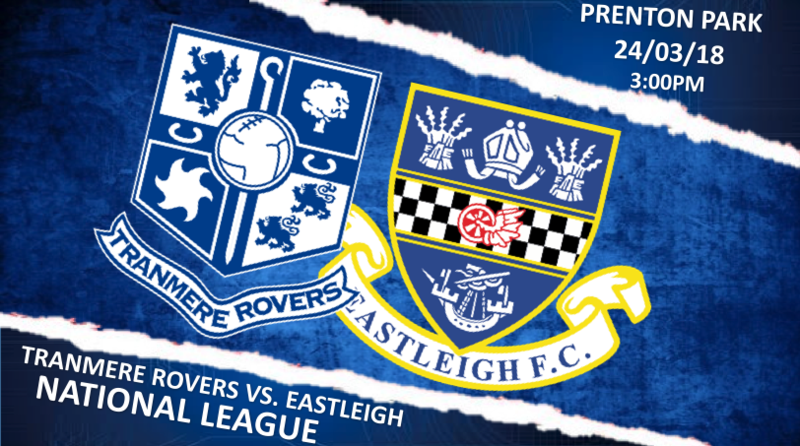 Rovers’ now turn their attention to an FA Cup First round replay with Peterborough United at Prenton Park on this forthcoming Wednesday, with live coverage available to view on BT Sport for those who cannot attend the match.